Aston Martin Lagonda Limited is a British manufacturer of luxury sports cars and grand tourers. It was founded in 1913 by Lionel Martin and Robert Bamford. Steered from 1947 by David Brown, it became associated with expensive grand touring cars in the 1950s and 1960s, and with the fictional character James Bond following his use of a DB5 model in the 1964 film Goldfinger. Their sports cars are regarded as a British cultural icon. Aston Martin has held a Royal Warrant as purveyor of motorcars to HRH the Prince of Wales since 1982. It has over 150 car dealerships in over 50 countries on 6 continents making them a truly global automobile brand. 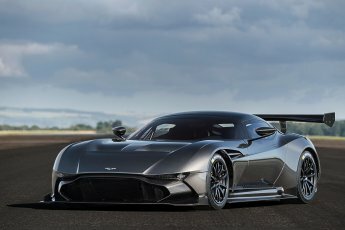 Their headquarters and the main production site are in Gaydon, Warwickshire, England, alongside one of Jaguar Land Rover's development centres on the site of a former RAF V Bomber airbase. 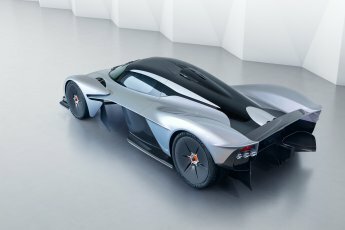 One of Aston Martin's recent cars was named after the 1950s Vulcan Bomber.